Training for child and family social workers on transgender issues is “largely deficient”, government-funded research has found. A review of the understanding of transgender issues in social work said social workers’ knowledge was “very mixed”. “Whereas some child and family social workers would seem to have minimal awareness of transgender issues, others operate within pockets of expertise, characterised by specialised knowledge and good practice,” the review said. A content analysis of social worker courses found “very little explicit reference to gender identity and gender variance within both undergraduate and postgraduate social work courses in England”. Interviews conducted with stakeholders said transgender people have “poor experiences” with services. “Examples of this include some social workers behaving in a prejudicial manner, labelling parental support of gender variance as abuse, failing to recognise risks associated with unsupportive home environments and making uniformed judgements around the acceptance of gender variance,” the review found. There were examples of positive experiences, as social workers were seen to have played a key role in family mediation and being a key source of information. 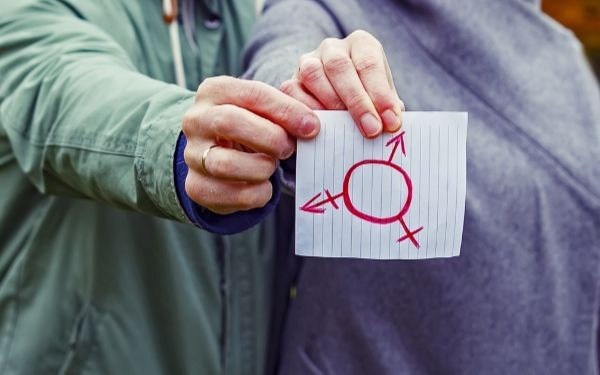 The review concluded however that the current regulation of child and family social work was not “prescriptive enough” to ensure consistent awareness of transgender issues within the profession. “This is due to a lack of specificity in regard to [multiple higher education institutes’] curriculum content; a lack of explicit guidance regarding professional values and ethics in regard to protected groups, and a lack of regulation applied to post-qualifying education,” it said. It said transgender awareness was an area in need of development, with multi-agency working required to help prevent resources and expertise being “trapped” amongst individuals and within localities. “Broader investment in better understanding the experiences of the transgender population would therefore seem of crucial importance in order to ensure the needs of this often vulnerable group are sufficiently met,” it stated. Senior social researcher at the National Institute of Economic and Social Research Nathan Hudson-Sharp said: “The findings of this research show that transgender awareness is an area in need of development across the child and family social work profession, with the evidence clearly indicating a demand for additional training materials. As a social worker, should I keep sharing personal stories with the families I am working with? Please feel free to access the resources on the link below which includes ways information for professionals support trans young people in care. I am pleased to read this article as it highlights some of the fundamental social work practice issues linked to diversity and equality and the values and ethics of social work which we should adhere to as social work practitioners. I am a qualified social worker and experienced practice educator who has located to Jamaica where I am working with the LGBTQI population and have developed 3 safe houses in one of the Parishes. I am also advocating across the country for safe and equal services to be provided to this marginalized group. I am pleased that the UK as a first world country are now also bringing these issues to the forefront in the field of social work practice so that we can prepare our forth coming practitioners for the reality which faces our clients in society. I applaud your understanding and commitment to the LGBT community. Speak out Ms. Jackson, you can and will make a huge difference to the people you advocate for. It can be a complicated area evidenced by the judge who slammed social workers for accepting the gender that was ascribed to the child. Perhaps it is helpful to point out that in that case ther was no transgender child, as the child was not expressing wishing to live with anoth r gender than the physical one they were born with. That case is about a parent forcing to live their child as someone other than they were. Whilst I can see the confusion, this is not a transgender matter. The difference matters greatly when considering the wellbeing of the child. In the one case living as another gender is abuse, whilst for transgender children not allowing such change could be highly damaging for the child. Think there is very little on LGBT issues on training compared to other social differences anyway. Perhaps because ideally we would like to assume we have equality and so it is generally accepted but sadly society is not there yet so I do think more on LGBT awareness would be good! Maybe the expectations of social workers to have knowledge of such a broad spectrum of issues covering arguably every known human condition and response known to man should be lowered. I can’t think of any other job where the expectation is so vast ‘jack of all trades master of none’ scenario continues ! CoramBAAF have written a practice note on assessing and supporting transgender foster carers and adopters. That will be sent out to members in July.